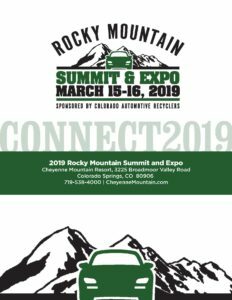 The Colorado Auto Recyclers Association is pleased to invite you to the first Rocky Mountain Summit & Expo. 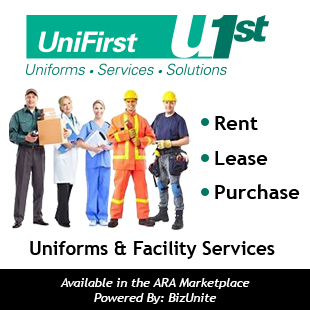 Our goal is to CONNECT all Recyclers, Exhibitors and Industry experts in the Rocky Mountain Region to new ideas, technology and each other. The agenda provides a great opportunity for learning, sharing, and networking, and is packed with topics you don’t want to miss! 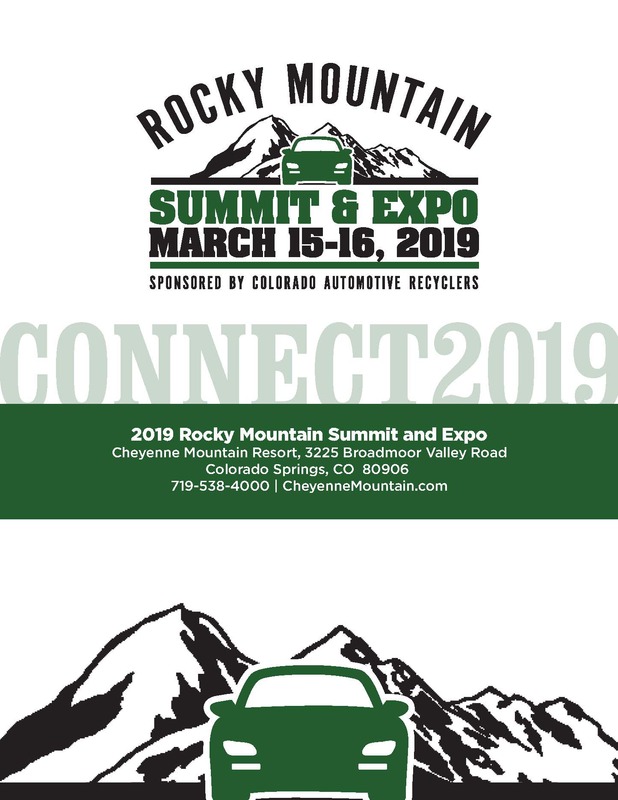 The theme of the Summit & Expo, CONNECT 2019, reflects our focus to come together to increase the success of all Rocky Mountain Recyclers and our industry as a whole. 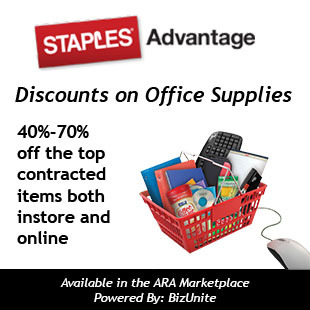 On Saturday, the agenda includes eBay’s Garff Fitzgerald discussing how to increase your sales on eBay, Scott Vollero will talk about leading change in your business, an entire track is dedicated to Self Service Yards, a Recycler Hot Topic Roundtable, Technology Training and much more. By attending the Rocky Mountain Summit and Expo, we can strengthen your business and our industry. Please join us on March 16th at the beautiful Cheyenne Mountain Colorado Springs!